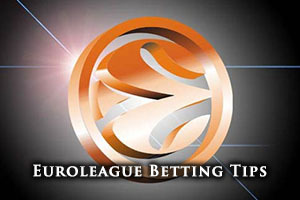 Spread Pick: Fenerbahce with handicap -2.5 at 1.90 Over/Under: Under 152.5 1.90 Bet Now! These two teams have already faced off against each other in Euroleague competition this season with the Turkish side holding the upper hand in both games. 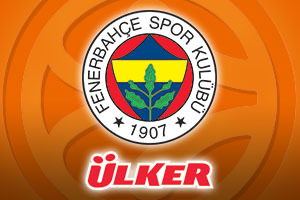 It would therefore be easy to conclude that Fenerbahce are the favourites for this one but the Top 16 can add a new level of pressure to a basketball game and Milan will be desperate to gain some revenge for the two defeats they suffered at the hands of Fenerbahce in the initial group stages. It will be a big game for Linas Klezia with the Milan player taking on his former team and he will need to have a big game if the home side are going to get anything out of this match. Milan hold a 6-7 record in the Euroleague this campaign, and this includes a 1-2 record in the Top 16. So far this season they have averaged 75.1 points per game in the Euroleague and a lot of this is down to the form of Daniel Hackett. Hackett has provided an average of 11.4 points per game while also offering an average of 4.8 assists per game. Samardo Samuels has also been in good form, providing an average of 11.2 points per game while providing an average of 5.4 rebounds per game. If Milan have struggled in Europe, they have found easier to deal with domestically. The Italian side are sitting with a 13-2 record and are in first place in their domestic league. In their last game, they rain out 73-79 winners against Giorgio Tesi. Fenerbahce hold a 9-4 record in the Euroleague so far this campaign and this includes a 1-2 record in the Top 16, so they will be keen to improve on that. The team has managed to deliver an average of 82.3 points in the Euroleague so far this campaign with US guard Andrew Goudelock being at the heart of so much of what the Turkish side has achieved. Goudelock has scored an average of 18 points per game while Nemanja Bjelica can provide an average of 11.1 points per game and an average of 6.5 rebounds per game. The Turkish side are currently in third place in their domestic league, with an 11-4 record. In their most recent domestic game, they hammered Besiktas by a score of 97-59. It is likely to be a close one but taking Fenerbahce with a -2.5 handicap, at odds of 1.90 is likely to be a smart bet for this game. If you are looking to get involved with the Over/Under market, you will find that going Under 152.5 is a smart option. Bet365 offers both of these bets, but you should also look to compare the odds from other basketball betting sites. And we can help you see EA7 Emporio Armani Milan v Fenerbahce Ulker is you are keen to watch the game unfold on Thursday the 22nd of January. Bet Now!